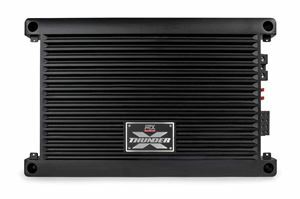 Capable of delivering 1200W RMS power into a 1Ω load, the XTHUNDER1200.1 is ideally suited to power MTX SuperWoofers and large, multi-woofer systems. This is made possible by using high grade materials and a never wavering dedication to precision workmanship. 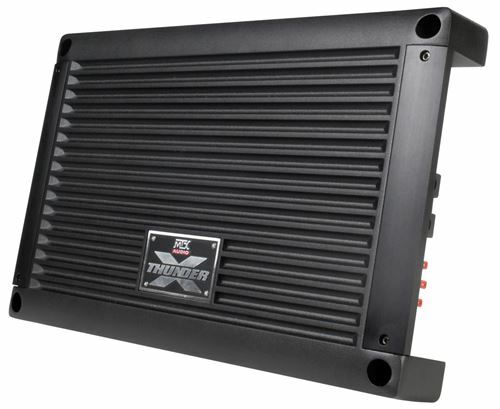 This is what allows the XTHUNDER Series to deliver exceptional sound quality and performance. We start by using a highly efficient class D amplifier topology to maximize electrical power efficiency while ensuring total thermal management, even under extreme use. This is all built on a dual sided circuit board with oversized copper traces that maximize electrical flow and minimize power loss before it gets to your speakers. Components are installed using surface mount technology making the circuit incredibly durable and vibration resistant allowing them to survive even when used in big bass systems. Additional heat management is handled by the top cover which functions as a large surface area heat sink. 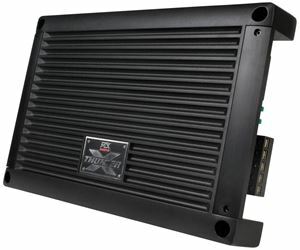 This effectively dissipates built-up heat so the amplifier runs cooler and can play louder, longer. The chassis also includes removable side covers that create a stealth look when installed, but also allow for easy access to connections and settings after mounting. Of course, the XTHUNDER1200.1 isn’t all power and no finesse. It is loaded with features that enable full customization to ensure the best possible sound quality without distortion. Using the built-in low pass filter, subsonic filter, and bass boost you are able to get exactly the sound you want from your subwoofers every time. Remember, you cannot install an amplifier without an amplifier kit. 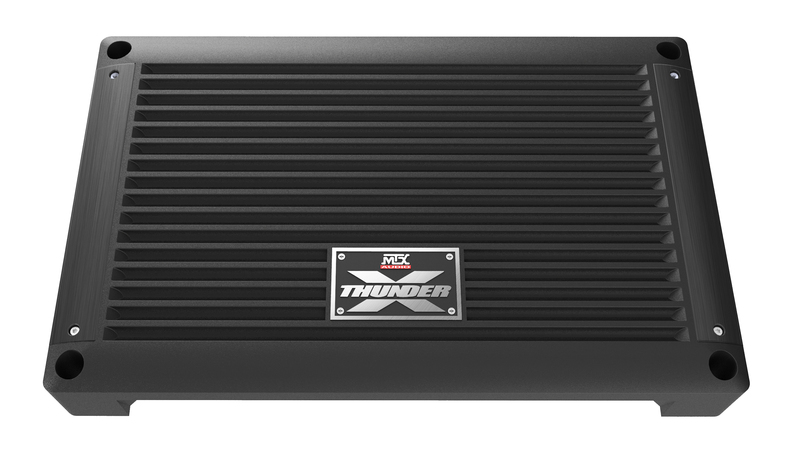 MTX recommends using a ZN5K-00 or ZN5K-04 to power the XTHUNDER1200.1.